Direktorat Jenderal Pajak Kementerian Keuangan Republik Indonesia - DJP is the Directorate General of Taxation. DJP is one of the general directorate under the Ministry of Finance Indonesia which has the task of formulating and implementing policy and technical standardization in the field of taxation. 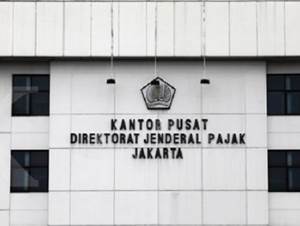 DJP has its legal domicile in Jakarta and its head office is registered at Jl Gatot Subroto, Kav 40-42, Jakarta 12190. According to DJP's profile as cited by JobsCDC.com, the organizational structure of DJP consists of 1 Secretariat and 12 Directorates and 1 Center. Today, DJP supported by 33 Regional Offices spread across Indonesia. At present, the Directorate General of Taxation was lead by Ken Dwijugiasteadi as Director General of Tax. He was inaugurated by the Minister of Finance Bambang Brojonegoro on 1 March 2016. Civil Servants (PNS) in the Central and Local Government Agencies. Maximum age on 1 January 2016. Applicants from the Ministry of Finance : maximum age of 28 years old. Applicants from Central and Local Agencies non Ministry of Finance : maximum age of 25 years old. Education level Diploma Degree (D3), majoring in Accounting, Administration, Economics, Management, Information Technology, Computer and all major which organized by State Finance Polytechnic STAN. Regional Office Papua and Maluku (81 formations available). JobsCDC.com now available on android device. Download now on Google Play here. Please be aware of recruitment fraud. The entire stage of this selection process is free of charge. Direktorat Jenderal Pajak - Recruitment D3 PNS DJP Kemenkeu June 2016 will never ask for fees or upfront payments for any purposes during the recruitment process such as transportation and accommodation.